Don’t be seduced by that free day of travel the MBTA board will give you on April 24, or the discounts you’ll get in May. By then, the snow will finally have melted (probably) and the blossoms will have burst forth. Grass will be greening, birds will be singing, and, like the labors of childbirth, the transit agonies of our snowy February will have begun to fade. Fa-la-la! The folks who oversee our basket case of a transit system want to make a gesture to recognize the horrors that kept legions of furious workers from their jobs as the snow brought our commutes to a near-or-actual standstill. One could argue it’s madness to take a single dollar out of the system — let alone the $5 million the free and discounted travel will cost — when the T faces a repair backlog worth north of $6.7 billion. 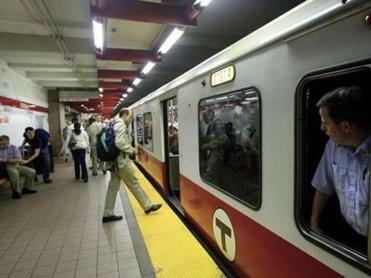 Overall, the T reported a 1.4 percent increase in ridership, hitting a record 400.8 million trips last year. We shouldn’t let that costly gift mollify us. Because our only hope for truly fixing our transit system — which we’ve whiffed on for decades — is for commuters to stay as angry as they are right now. We finally are united in our misery. The snowy meltdown affected everybody — not just the poor benighted souls who ride the Red Line daily, but drivers as well, stuck on roads made impassable by weather and T refugees. We finally saw how vital transportation is to the region’s economy, how its failings affect us all, no matter where we live. Fixing transit is finally as urgent as it always should have been — at the top of the agenda on Beacon Hill, in corporations, around the water cooler. “I have never seen this level of anger,” says Jeff Rosenblum, founder of the transit advocacy group Livable Streets Alliance. “I have never seen anything close.” He and others see hope in that passion, believing it will force real solutions to problems at which we’ve been pathetically chipping away for years. But all will be ruined if we allow ourselves to be placated by a free ride and a little sunshine. To guard against that terrifying possibility, and focus our righteous rage, let’s remind ourselves of some of the people who got us into this mess. First, let’s serve one up on the MBTA itself. Though it has been in a financial straitjacket for more than a decade and been the subject of major reforms, some things at the authority are still messed up — for example, its lame system for tracking maintenance needs, and the fact that workers still enjoy ludicrously expensive retirement benefits. So save some anger for the legislators who, over the years, have been allergic to adequately funding transportation. They’ve also done a lousy job of understanding our transportation issues and explaining them to constituents. And let’s let various governors have it, for kicking the funding can down the road and generally ignoring the size of the problems even as they signed off on expansions. Like so many before him, newbie Charlie Baker decided the transportation system’s problems were ones of management and not money — as if his predecessors hadn’t been using that line of reasoning, to no avail, for ages. He’s also the guy who shut the door on raising new revenues and threw former GM Beverly Scott under barely functioning buses. Thanks, Gov! Finally, let’s be mad at ourselves. We have failed to demand that our leaders build transit worthy of this century, not to mention the next. We’re also the ones who unlinked the gas tax from inflation, depriving a broken system of a billion dollars over the next 10 years. Squirrel away these tough nuts. Dig them up when the days are long and warm. Free fare day or no, feel your ire rise anew. Maybe then, we’ll get transit that works. Without our will, there’s no way. Yvonne Abraham is a Globe columnist. She can be reached at abraham@globe.com. Follow her on Twitter @GlobeAbraham.